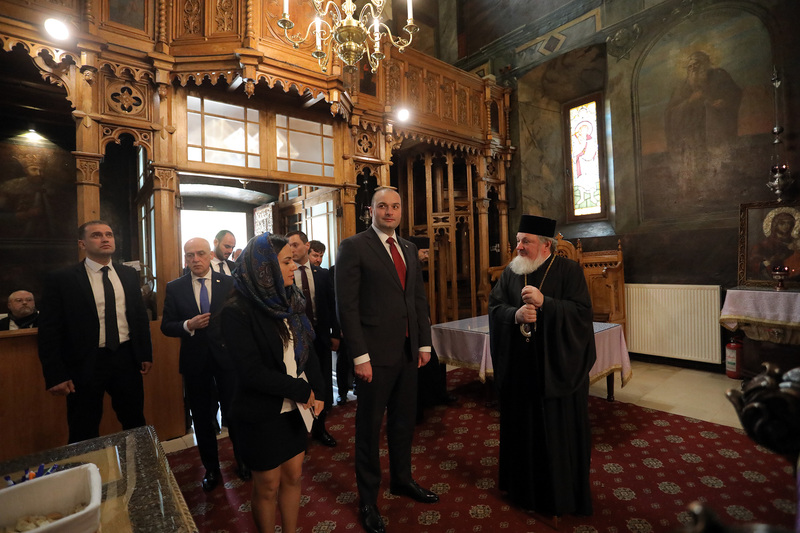 Mamuka Bakhtadze, Prime Minister of Georgia visited a monastery named after Anthim the Iberian within the scope of his Official Visit to Romania today. Head of Government of Georgia adorned the monument to the saint with flowers and enjoyed a guided tour around the museum, which keeps and exhibits Bibles published in various languages - including Georgian - by Anthim the Iberian at his printing press. 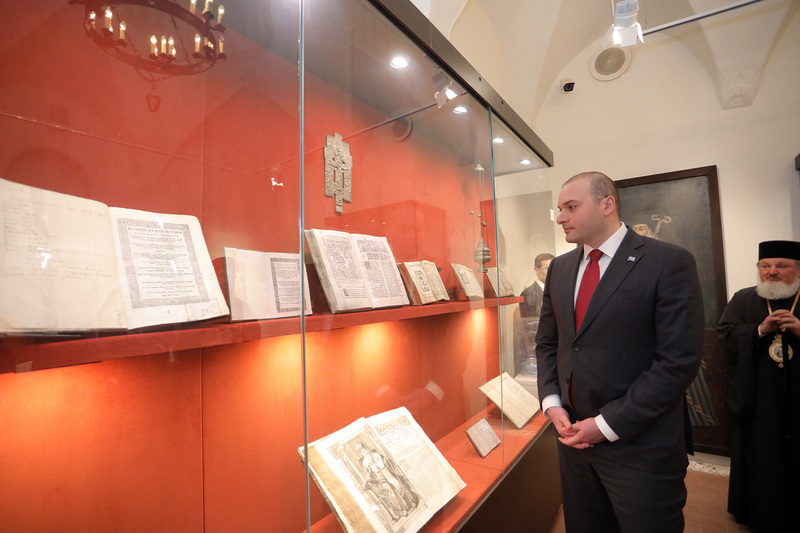 Museum also depicts personal items of the saint designed for liturgies and religious services. Archbishop Varlam shared information with the Prime Minister of Georgia about the history of the museum, life and work of St. Anthim the Iberian. Head of Government of Georgia received an icon of Anthim the Iberian as a gift. Georgian scholar, printing press master, enlightener, politician and clergyman, Wallachia Metropolitan Bishop Anthim the Iberian was denounced as a saint by the Romanian Church in 1992. First steps of Anthim the Iberian as a first printing press master are related to the Bucharest Print, whereby he released the very first book in 1691. Along with printing, Anthim the Iberian greatly contributed to the development of a literary Roman language. His wish turned into a lifelong mission to have the liturgies performed in the Romanian language.